Born in Houston Texas to the late Mr. Troy Lee and Mrs. Lela Mae Rowden, the youngest of five children. Reverend Rowden was baptized at the early age 6 years old and became a member of Fourth Missionary Baptist Church. He received his formal education in the Houston Independent School District. Reverend Rowden retired from the United States Military (Army), with his last assignment being at the United States Military Headquarters, Pentagon Washington DC, he served honorably for twenty-three years in the telecommunications field. Upon retirement from the military, Reverend Rowden worked in the Cumberland County Schools system. Pastor Rowden is an advocate for social justice who meets the challenges of social, economic, and political issues head on. He has served as Chairman for the Political Actions Committee for the Fayetteville Cumberland County Ministerial Council, Inc. He has served on the Board of Directors for the Cape Fear Regional Bureau for Community Actions, Inc. (An outreach organization to help the fight against HIV/AIDS, and other disparities). He has served on the Economic Development steering committee for the city of Fayetteville. He has served on the Board of Directors for the Cedar Creek Learning Center (An Academic Summer program for kids). He is a member of the Fayetteville branch NAACP. He currently serves on the advisory board for the Clinical Pastoral Education Program (CPE) at Cape Fear Regional Hospital. Pastor Rowden also serves on the Council for State Government (CSG) on the subcommittee for Military and Veterans Concerns. Pastor Rowden was selected to serve on a police promotional process for command level positions within the Fayetteville Police Department. He organized the “Clergy to Stop the Violence” and lead the first ever gun buy back in Fayetteville that allowed for law enforcement to collect and take off the streets 270 weapons. Reverend Rowden was selected by the Fayetteville Cumberland County Human Relations Commission as the 2014 Religious Leader of the year. Reverend Rowden serves as the National Baptist Convention, USA, Inc. Foreign Missions Board State Representative for North Carolina. He received a certification in Child Psychology from Stratford Institute, an Associates Degree from El Paso Community College, El Paso Texas, a Bachelors of Theology from Zoe University Jacksonville Florida, a Bachelors of Sociology from Fayetteville State University. a Master of Divinity (MDiv) from North Carolina Theological Seminary and a Doctor of Theology (Th.D) from North Carolina Theological Seminary. 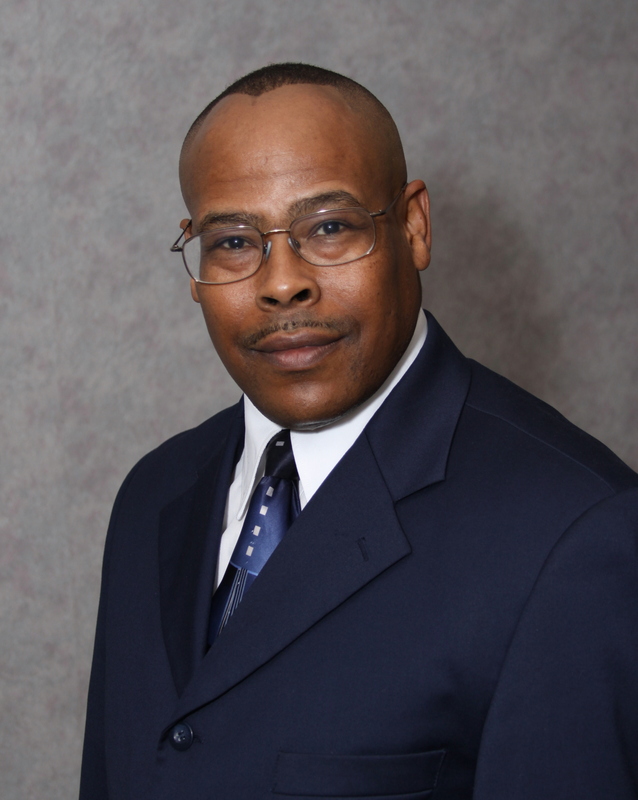 Dr. Rowden is the Site President for the (CCTS) Cumberland County Theological Seminary. CCTS is an extension of the North Carolina Theological Seminary (NCTS) located in Clinton, NC. where the President/Founder is Dr. Varnie N. Fullwood. CCTS offer Associate-Master Degrees on campus. Doctoral candidates must attend the main campus in Clinton, NC. Classes are held weekly at 6675 Tabor Church Road Fayetteville, NC 28312. For enrollment or to request an information packet call (910) 323-1962 or (910) 564-6630. Reverend Rowden’s ministry leadership experience include serving the Union Missionary Baptist Association as Chairman, Ministerial Board/Ordination Academy and Vice President of the Pastor’s and Minister’s Conference and as Moderator for the Union Missionary Baptist Association with over 60 churches located in Cumberland, Hoke, Robeson, Bladen, and Sampson counties. One of 59 Associations in the General Baptist State Convention, NC Inc.
His ministry is a HELP ministry, He is a Preacher who depends TOTALLY on God and gets his guidance from the Holy Spirit. Pastor Rowden is servant leader for the Savannah Missionary Baptist Church Fayetteville, NC. Rev. Dr. Mark Rowden is married to the former Ms. Beverly Knox also of Houston, Texas. Please indicate if contribution is for tithe, offering, or other. A tax receipt will be issued upon request.